Imagine a bridge without stable pillars. It can hardly hold itself, and will collapse when burdened with weight. It’s the same with your ankles. How can your body squat heavy weights if your supporting limbs aren’t able to keep it safe? To see why ankle mobility has such an important role, it’s necessary to firstly understand dorsiflexion. 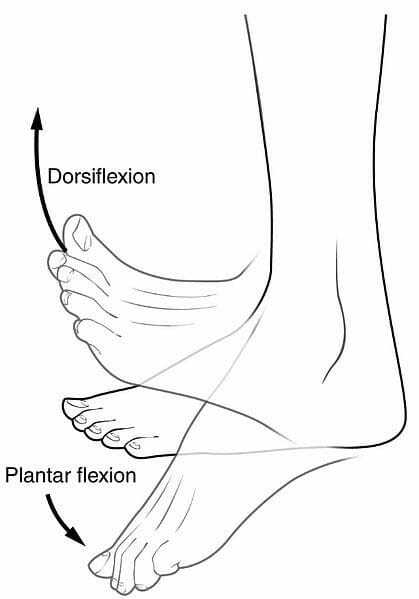 Down, the plantar flexion, like you want to step on your tiptoes. And up, the dorsiflexion, like you want to stretch your tiptoes up to your knee. Dorsiflexion allows your shin to move forward, relative to the position of the foot. This is the key for correct body positioning and the efficient production and release of force during the above exercises. This is possible because the right stance allows your spine to be set in a neutral position, and imparts the force from the hips to the weights, as long as you are able to bend. 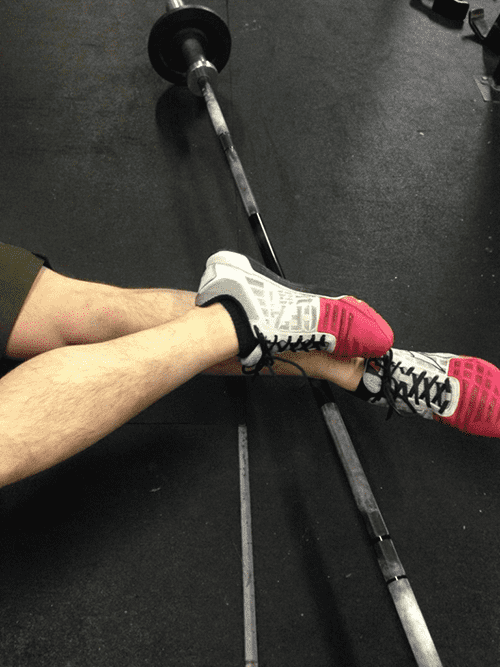 Inflexibility in ankle mobility can cause an inability to perform a movement. It can even lead to a domino effect all the way up the posterior chain, including the potential to cause an injury. Proof the range of motion of your ankle by doing an air squat with a straight back. If you have a limited movement you will come inevitably to a point where your chest is dumping forward or you lose balance and either fall back or hunch your back. That’s the point your current range of motion ends. As there is no other movement that needs more range of motion than a pistol squat in its end position, you can easily check your mobility by doing that. Get your feet so close together that you can put your fist in between. Now squat with your back kept straight. When down in the deep squat position, stretch out one leg. If you can do that whilst holding your foot on the ground in a neutral position, then you have the maximum range of motion. If not, you have some work to do. There can´t be any progress by doing exercises only once. When you have identified your weaknesses, constantly add those exercises to your daily routine. Start with rolling the surrounding areas to loosen up the calf and fascia. The function of the calf muscle in the lower leg is the control of the ankle, so you should start with the mobilisation of that area. The best tools will be a lacrosse ball or a barbell to get direct pressure on the required areas. Sit down, cross one leg over the other and place your calf on the chosen object. Move your leg up and down and also diagonally. Contract and relax the muscle. Do it for two minutes each side. You can add additional weight or ask a training partner to apply pressure if you want to achieve a higher compression. Do the same thing on the heel of your foot. Step on a Lacrosseball and move your feet all about. Stretch the ankles into a flexed position. Place your toes on a low inclination and bend your knees to move into dorsiflexion. Raise the inclination as you progress. Another easy way to mobilize the ankle is the wall stretch. Face a wall, put your toes on the wall and the heel on the ground. Bend your knee to the wall. Test if you are able do a deep squat and try to stay in that position. Move your weight onto one foot and stay there for two minutes minimum. Shift the pressure onto your other foot and repeat the stretch. 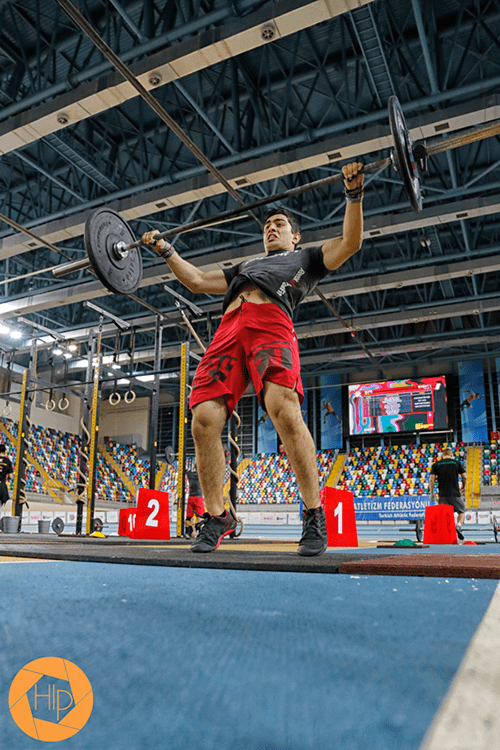 Weightlifting shoes are made for a reason. The right shoes can put your body in the correct position to move more weight. Additionally, they lighten the ankles load and give your feet a stable position. Of course you should use them just in the case of a pure squat, weightlifting WOD or strength component. In mixed workouts always use your usual shoes, as you don’t want to run, do Box Jumps or a Double Under workout with such a tough heel!